Our privately guided trips provide you with a really personal, informative and friendly experience you will never forget. The beautiful scenery does a lot of the work for us but we have tailored this trip so that your group is private to you, your guide is well informed and will keep you safe by constantly assessing the weather and track conditions, timing for your personalized transport pick-up, and other little details that will maximize your enjoyment. Your private guide can also tailor the trip to accommodate different fitness levels and avoid weather-exposed sections or crowded areas. If time is limited and you are unable to spend the whole day walking the Tongariro Crossing, then the 4 hour Half Day Volcanic Explorer Guided Walk is perfect for you. 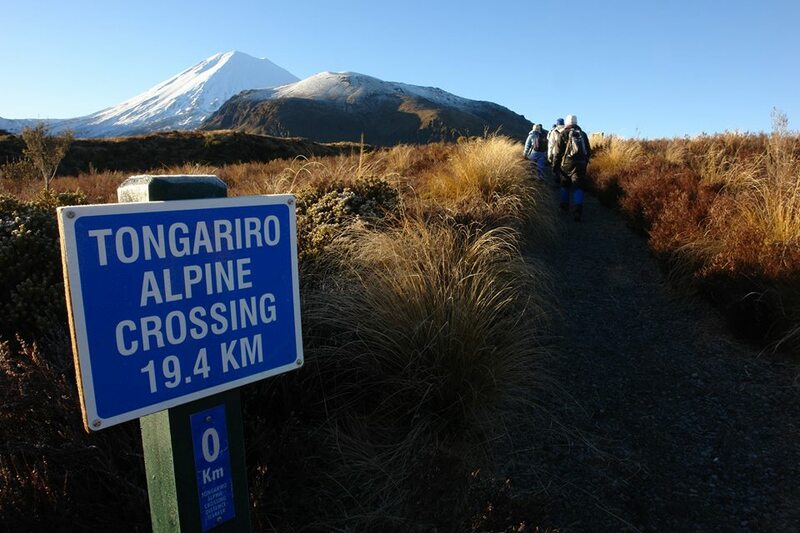 Enjoy the beautiful landscape of the Tongariro National Park with this half day tour. When possible, we will start on the Tongariro Alpine Crossing track and head up to Soda Springs before returning to the start. At Soda Springs we give you the option to upgrade to the full day walk at an additional cost. You will need your lunch and adequate water to request an upgrade. If there is anyone in your group who is unable to walk for the 4 hours on the Tongariro Crossing Track then as a private tour, you can choose the option of driving to viewpoints which require less physicality. We have a menu of smaller walks we can enjoy ensuring you get to see and enjoy all you can in the 4 hours. We will talk and show you all things relevant to Tongariro and New Zealand including recent and past eruptions geology flora and fauna discovery and settlement of NZ myths and legends. Private guide/s, transport between the Adrift Tongariro base and the activity and all clothing and footwear hire. Whilst on this tour and in reaching Soda Springs, you can decide to upgrade to a full day tour at an additional cost of $120 pp min 2 people and $60 for each additional person thereafter. You must have lunch and adequate water to upgrade. Private return transfers are an additional service and cost over and above the tour booking and require a minimum of 2 to operate. For full terms and conditions click here. Summer (1 October - 30 April), Winter (1 May - 30 September). One and a half litres of water, outdoor walking shoes/boots with good grip, long walking pants, 2 x warm tops, raincoat with hood and a backpack. One and a half litres of water, waterproof outdoor hiking boots with good grip, long warm walking pants, thermal leggings, 3 x warm thermal tops, hat, gloves, warm socks, waterproof raincoat with hood and a backpack large enough to hold water and crampons. Crampons and ice axes are included in the tour price. Adrift Tongariro has available for hire personal equipment, footwear and clothing to supplement that which you don’t have and need including boots, socks, thermal longs, fleece longs, waterproof pants, thermal tops, fleece tops, waterproof jackets, warm gloves, warm hats, sun hats, sunglasses, backpacks, walking poles.